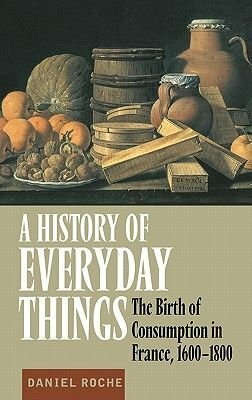 A History of Everyday Things is a pioneering essay by one of the world's leading cultural historians that sheds light on the origins of the consumer society, and thereby the birth of the modern world. Things that we regard as the everyday objects of consumption have not always been so: how, therefore, have people in the modern world become "prisoners of objects," as Rousseau put it? Daniel Roche answers this fundamental question of historical anthropology, and imaginatively explores the origins of the daily furnishings of modern life.